The Samsung Galaxy A7 2016 edition is the poorer cousin of the relaunched Galaxy A7 that packed a scintillating performance accompanied by a triple sensor camera. The Samsung Galaxy A7 (2016) has a 5.5-inch touch screen display with a 1080 x 1920 pixels resolution. It is powered by an 1.6 Ghz octa-core processor that can handle daily smartphone tasks quite smoothly. Samsung Galaxy A7 (2016) was powered by a modest processor with 3GB RAM and 16GB of internal storage that could be expanded further upto 128 GB. It featured a 13 megapixel rear camera and a 5 megapixel camera to click great selfies. It runs on Android 5.1. It packed a 3300mAh strong non-removable battery to survive all through the intensive tasks and connectivity available upto 4G. Though Samsung Galaxy A7 (2016) is promising, it lags behind in software and processors that are available within the same price range in other smartphones. The most redundant feature is the single sim option. Being a little overpriced and outdated, it would be a wise option to sell it and go for the latest smartphone on the scene. Made up your mind to sell your Samsung Galaxy A7 (2016) online? Don't fret. Just let Cashify take over and do the hard work for you. Cashify is a trusted name where you can easily sell their old phone and gadgets online with just a few clicks. Cashify is a trusted brand that offers a hassle free and convenient experience to users wanting to sell used mobile phones online. The process is quick and easy and ensures complete safety of transactions. It has exclusive partnerships with brands like Samsung, Xiaomi, OnePlus,, Apple and to name a few. So far, it has served 9 lakh customers and encashed 11 lakh gadgets including mobile phones, tablets, laptops etc. 1. Log on to Cashify's website and enter the name of the brand and model of your phone - Samsung Galaxy A7 (2016). Give us some details about its age, the warranty period, current condition of the phone and more. 2. Next, using your inputs, a fair price will automatically be generated by Cashify. This is done using an extensive pricing algorithm that generates fair values for all smartphones on the platform. 3. If you are good to go with the generated price, schedule a free pickup with Cashify at the time and place of your convenience. 4.You can also choose your mode of payment in cash, Gpay, PayTM and bank transfers. A Cashify representative will pay you the price instantly in exchange for your old phone. Cashify provides a hassle-free experience to sell old and used phones in the convenience of your home. 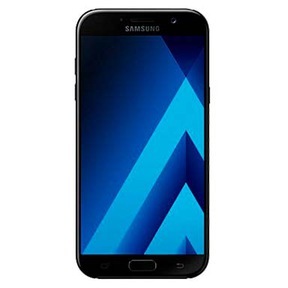 Samsung Galaxy A7 (2016) can fetch you good prices with Cashify and you can go ahead to purchase your next dream phone.